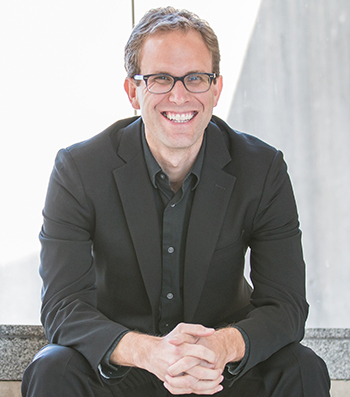 Conductor Matthew Westgate “leads with a combination of expressivity and crispness” (San Francisco Chronicle). His performances are praised as “dramatic, incisive, and passionate” (Audiophile Audition) and full of “verve and swagger” (MusicWeb International). Dr. Westgate has appeared on major concert stages throughout the U.S., Europe, and Asia and has guest conducted some of the nation’s top wind bands and chamber ensembles, including the U.S. Marine Band “The President’s Own,” and the U.S. Coast Guard Chamber Players. In 2019 he will lead the Blue Lake Fine Arts Camp (Twin Lake, MI) International Northern Winds on a summer European concert tour. Dr. Westgate is the Director of Wind Studies at the University of Massachusetts Amherst (Amherst, MA), the Commonwealth’s flagship campus, where he conducts the UMass Wind Ensemble and Symphony Band and oversees the graduate and undergraduate conducting programs. In 2016, he was nominated for the UMass “Distinguished Teaching Award,” the only student-driven recognition of teaching on campus. University of Massachusetts ensembles under his direction have been invited to perform at multiple College Band Director National Association Conferences (Yale University, 2018; U.S. Coast Guard Academy, 2016) and on a concert tour of Ireland (Dublin, Galway, Cork, Killarney) in summer of 2017. The Massachusetts Chamber Players, a professional chamber ensemble under his baton, recently released a recording of chamber wind music by Swiss composer Frank Martin [Frank Martin: Music for Winds} on MSR Classics, and the UMass Wind Ensemble will debut three newly-commissioned pieces for winds on a CD entitled "Quicksilver" in summer 2019. Prior to his appointment at UMass Amherst, Matthew was the Director of Instrumental Activities at Xavier University (Cincinnati, OH), where he conducted the symphonic band, jazz ensemble, Xavier Pep Bands, and chamber orchestra. His current research addresses "Real vs. Virtual Communication: The Increasing Importance of Building Community through Music Ensembles in the Age of Technology” and the wind chamber music of Swiss composer, Frank Martin. He is also working to bring a Full Score Edition of Rossini-Respighi's "La Boutique Dantesque" for wind band to publication. His professional affiliations include: the College Band Directors National Association (State Chair for Massachusetts), National Association for Music Education, World Association for Symphonic Bands and Ensembles, Massachusetts Instrumental and Choral Conductors Association, and Massachusetts Music Educators Association.